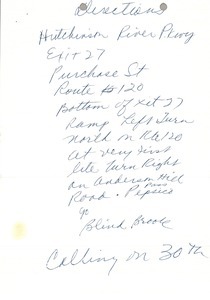 Handwritten note giving directions to an unspecified destination. 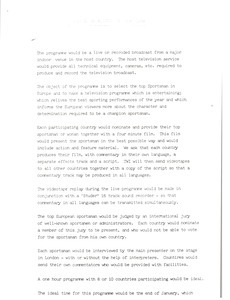 Concerning the European Sportsman of the Year. 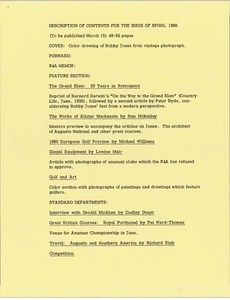 Notes on changes to the IMG executive directory of external executives. 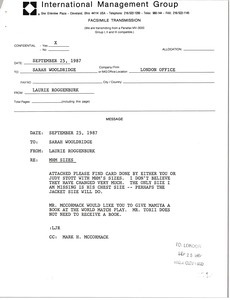 Laurie Roggenburk sends Sarah Wooldridge a card done by either Wooldridge or Judy Stott containing McCormack's sizes. 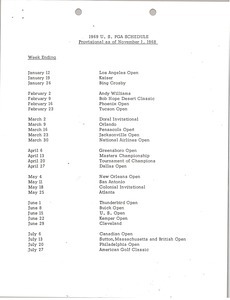 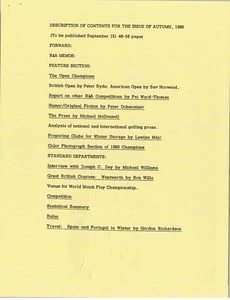 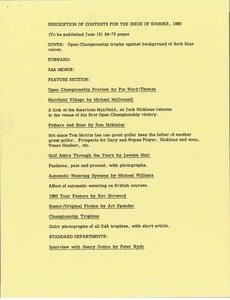 She also notes that McCormack would like Wooldridge to give Mamiya a book at the World Match Play and that Mr. Torii does not need to receive a book. 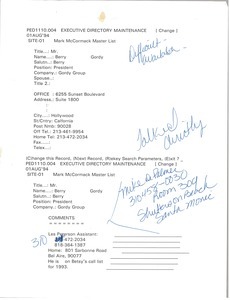 Attached is a photocopy of the card containing McCormack's sizes. 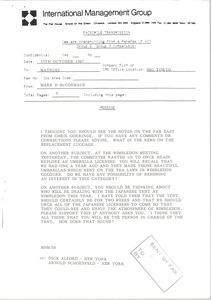 McCormack forwards the notes on Chris Gorringe's visit to the Far East and asks if Matsuki has any comments or corrections. 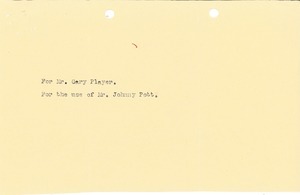 Cleveland (Ohio) - A note that accompanied four Crankshank golf clubs.